Carbonated bitter lemon flavoured soft drink with sugar and sweetener. SHARP, TART & SWEET Made for mixing or a zesty drink to enjoy on its own Our drinks experts have been creating fizzy drinks and mixers in the UK for decades. We carefully evolve our recipes over time, using absolutely no artificial flavours or colours. 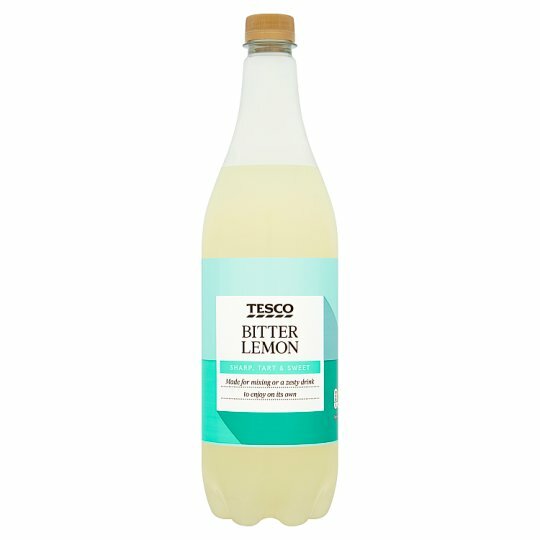 Carbonated Water, Sugar, Comminuted Whole Lemon (2.0%), Lemon Juice from Concentrate (1.0%), Citric Acid, Flavourings (contain Quinine Hydrochloride), Preservative (Potassium Sorbate), Antioxidant (Ascorbic Acid), Emulsifiers (Acacia, Glycerol Esters of Wood Rosins), Sweetener (Sodium Saccharin), Safflower Concentrate, Lemon Concentrate. Store in a cool, dry place and out of direct sunlight., Once opened, keep refrigerated and consume within 3 days. Warning: Pressurised container. Open with care, covering cap..